Many of our items are made to order with your pets measurements to fit your pet perfectly, so measuring for a good fit is very important. IMPORTANT: Please order size according to the size chart listed for each product. A size medium for one product is not always a medium for another. 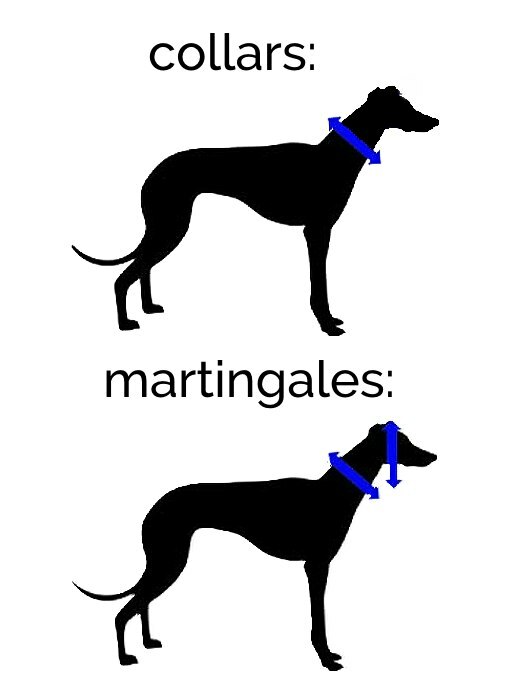 Place a tape measure around the middle of pet's neck (as shown) and compare it with the collar measurements listed for each collar. Also be sure your dog or cat can comfortably wear the width of the collar you have chosen. When measuring the circumference of the neck and chest, make sure that the tape meets the other end so that it is not too tight, but so that the ends meet with no extra room. Length: Measure your pet from the base of his neck to the base of his tail. Neck: Using a cloth tape, measure around the dog's neck where the collar should lay. Always measure your dog while it is standing up. If you are not sure, we suggest ordering the next larger size. Also select the next larger size if your measurement is close to a size-range maximum, or if your pet has a thick coat, broad chest or wide underside. Be sure to contact us if you have any questions regarding measuring your pet.